Email [email protected] to buy your ticket. 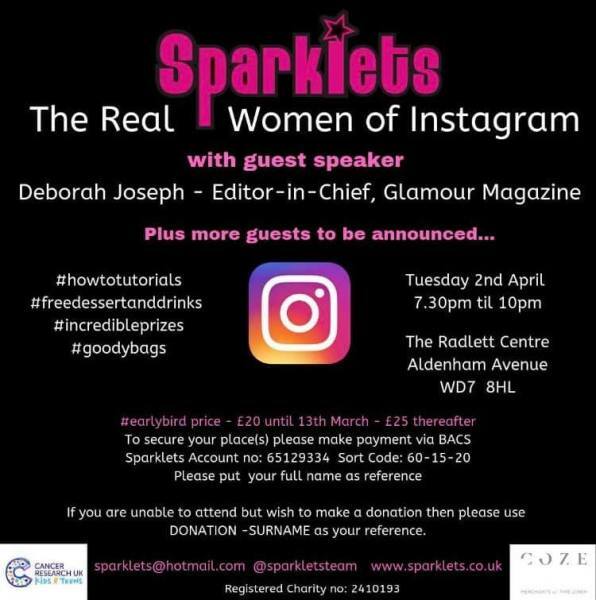 If you love all things Instagram, don't miss out on this huge opportunity to hear from Deborah Joseph, Editor-in-Chief at Glamour Magazine. Plus, join us for a night of tutorials, including make up tips, braiding, hair styling, home styling, fitness and health. ,We will also be serving dessert and drinks, incredible prizes and goody bags.